You can find out the True Market Value of your car with our simple KBB Trade Value Tool. Fill in the straightforward forms and we’ll calculate your car’s trade-in value. Once you’re finished filling in the form, you’ll enter your contact information and give us some information about the new vehicle you’re interested in. We’ll send you your appraisal and get started on your next car search. New or used, lease or purchase, Raceway Kia will give you the True Market Value of your vehicle and help you find the next car that’s right for you. At Raceway Kia, our job is to take the hassle out of buying a car. We start with the trade-in process, making it as easy and straightforward as possible. Our KBB Trade Value Tool takes the guesswork out of the process, giving you the information you need to make the right decision. Our motto at Raceway Kia is “we just say YES!” so you can feel confident that you’ll get a smart deal. 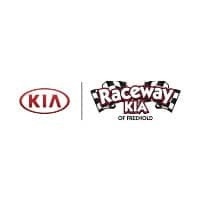 Now under new ownership and management, Raceway Kia of Freehold is part of the #1 rated Kia Dealer group and the #1 volume Kia dealer group. That means we can do more for you. What does that mean? Not only will we give you True Market Value, but we will take it a step further. At Raceway Kia, we have a $5000 MINIMUM trade-in allowance. That promise gives our customers more buying power than they might have at a competing dealership. 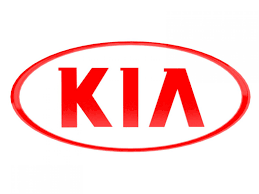 Come experience the Raceway Kia difference. Get the most money for your trade! See the market for your car today. We pay top dollar and want you to look at the same data we do to determine what your car may be worth. In just a few quick steps you can skip the tireless research process and guesswork.